He has deep Calabrian origins. His passion for food has always been a constant, without ever losing its intensity. He started his life and his culinary career in France. After attending the Ecole Hoteliére de Nice, he worked in various French starred restaurants (in Monaco, Marseille and Nice), but his link with his homeland led him to Italy and Enoteca Pinchiorri in Florence. The call from the East allowed him to acquire the experience that has always characterised his culinary creations. Japan and Malaysia before his return to Italy in 1997 at Ristorante Rossellinis inside Hotel Palazzo Sasso, in Ravello. His first Michelin start arrived in those first years in Ravello. An institutional foundation, strongly based on tradition, together with creative, international and personal pairings and ingredients. And a religious respect for high quality raw materials. This is the essence of Anthony Genovese and his cuisine. The turning point, however, was in 2003: together with his friend and partner Marion Lichtle, he opened a new restaurant in Rome, a special place inspired by the atmosphere of their travels, both in terms of décor and recipes. The adventure in the capital continues to these days, always in search for new ideas that can surprise and be memorable for the lucky guests at Il Pagliaccio. In 2015 his restaurant joined the prestigious Relais & Chateaux, an acknowledgement matched with the two Michelin stars, confirmed over the years. Anthony Genovese is appreciated and acknowledged among Italian and international colleagues. Indeed he has participated in many important gastronomic events and four-handed dinners with international starred chefs. The latest events in Italy include Identità Golose, Fish&Chef, Taste of Roma, Le Strade della Mozzarella. 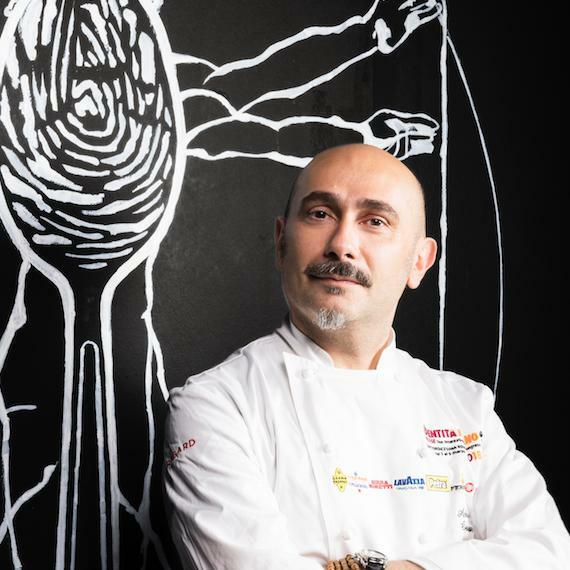 On an international scale, he’s participated in prominent events at the Italian Cuisine World Summit Dubai, the Italian Institute of Culture in Paris, the Asia-Pacific Food and Wine Festival, as well as other events together with renowned colleagues in Hong Kong, Bangkok, Singapore, Beijing, Wolfsburg, Bodrum and Marseille.